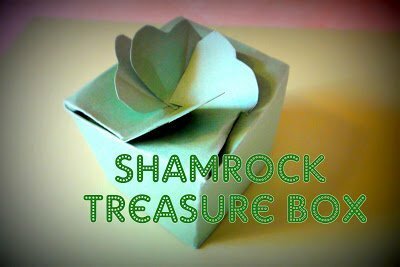 This cute little shamrock box could be filled with candy coins, Lucky Charms or other little teats for your kids on St. Patrick’s Day! 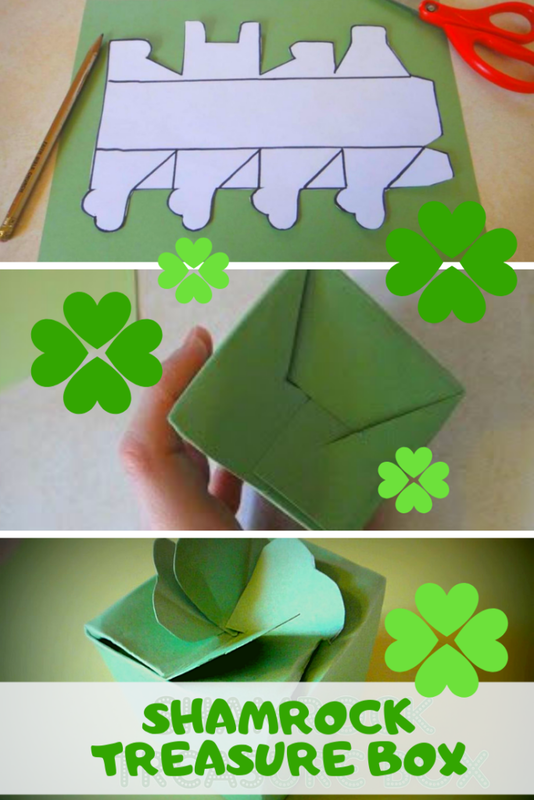 Here are some tips: folding these can be tricky. 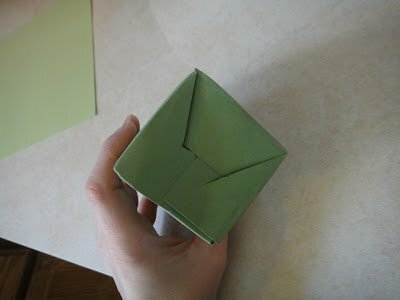 Be sure to make your folds nice and clean. 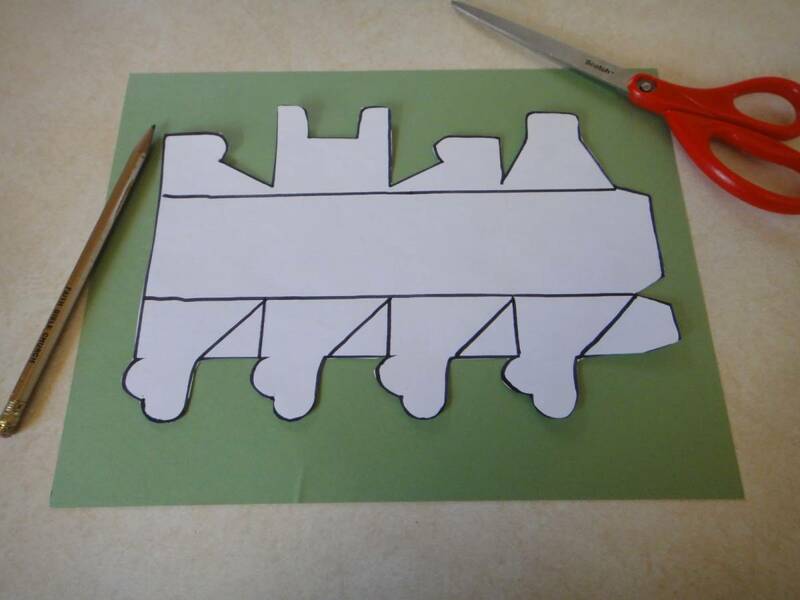 Use the edge of a butter knife or scissors to press them flat. 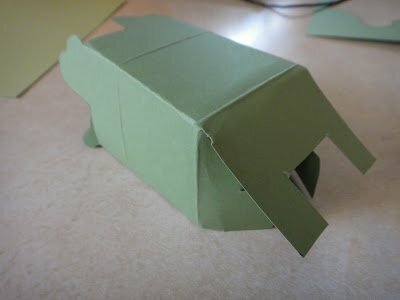 Make all your folds on the dotted lines before starting to put it together. 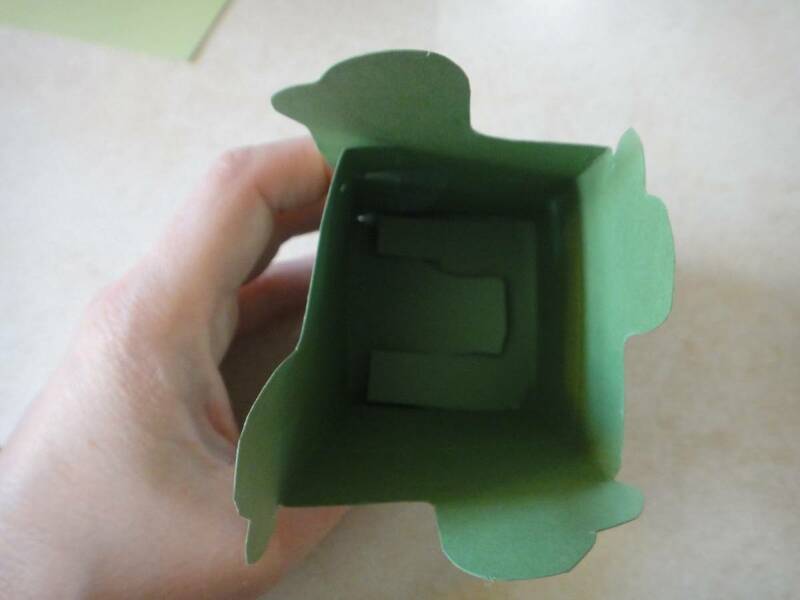 Use tape or glue to secure. 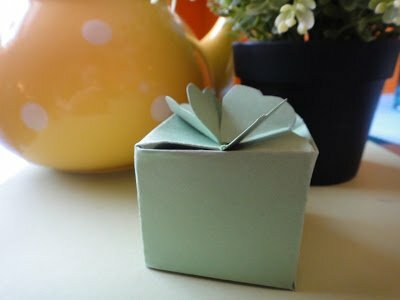 If you find any edges not lining up properly or things seem to be fitting tight, try trimming of a tiny bit from the edges. Have fun! Print pattern onto green card stock, or trace it on as I have done here! Note: in hindsight, this would have been easier printed on green card stock as it’s hard to know where to fold without the guidelines.